An updated version of the legendary amplifier that’s been the heart of many guitarists’ rigs, the Hot Rod Deluxe IV features modified preamp circuitry, smoother-sounding spring reverb and updated aesthetics that any player is sure to appreciate. A supercharged amp decked out with player-requested features, this scorching 40-watt 1x12" combo is ideal for guitarists who need hot-rodded power with performance to spare. The Hot Rod Deluxe IV includes a 12" Celestion® A-Type speaker for well-balanced output with smooth highs, laid-back midrange and full, round lows. The modified preamp circuitry improves overdriven note definition, so you'll have articulate sound no matter how hard you push this amp. The onboard spring reverb has been modified to add smoothness, so you still get rich, shimmering tone, no matter how much reverb you use. 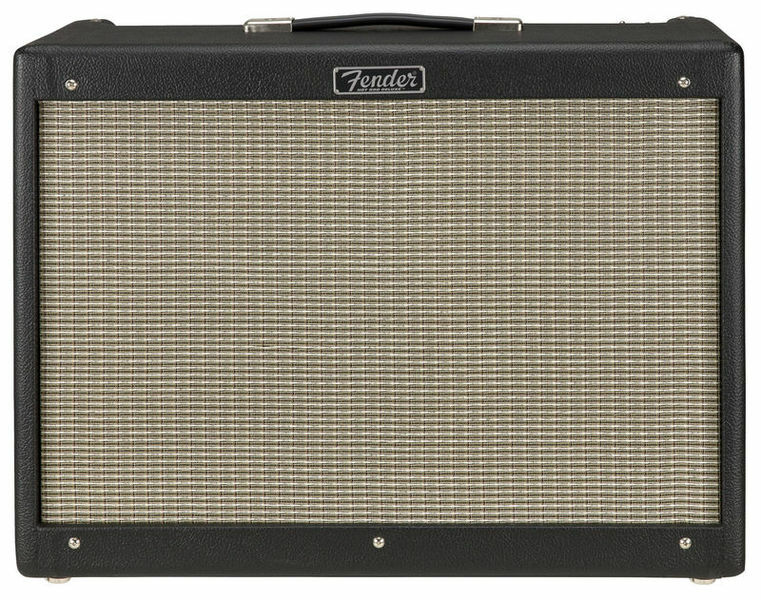 The updated aesthetics include a lightweight pine cabinet, improved control panel texture and graphics, ivory pointer knobs, steel-reinforced strap handle and lightly-aged silver grille cloth, giving it the unmistakable look and vibe you can only get from a Fender amp. Reliable, flexible and pedal-friendly, the Hot Rod Deluxe IV is an ideal addition to any electric guitarist’s amp collection.